Isa And Islam > Frequently Asked Questions > Isa Al-Masih > What Does the Quran Say About Isa Al-Masih? If you are a Muslim, you love the Quran and treat it with great reverence. You put it on the top shelf of the bookcase. You never write in it. You never let it lie around and collect dust. Often you can’t read it because you don’t know Arabic, but you do read translations. Though Christians follow God’s Holy Book, we respect those who hold the Quran in great reverence. Christians read the Quran too. They like to know what the Quran says about Isa Al-Masih. To be a proper Muslim, one must read the Holy Books that came before the Quran (Qs. 4:136). Since God is all-powerful, God’s Holy Word cannot be changed by any man (Qs. 6:115). God protects His Word. These books have much to tell about the straight way. As the Quran points to these books, it is great to see the Quran echo some of these truths. Below are some of the things about Isa Al-Masih in the Quran that impress Christians. Qs. 3:46 says: “…He will be one of the righteous.” Isa Al-Masih is the only prophet in the Quran without sin! His virgin birth also points to His purity (Qs. 3:47). Qs. 3:45 tells us that Isa is the Messiah. He is given the highest honor, both now and forever. The Quran uses the term “Messiah” for Isa at least nine times, including Qs. 4:172. The Bible also recognizes Isa as the Messiah, or the “Christ,” which is the Greek word. Andrew, one of Isa’s apostles, told his brother Peter, “We have found the Messiah” (Injil, John 1:41). Peter later confessed the same thing, saying to Isa, “You are the Christ” (Injil, Matthew 16:16). Isa Al-Masih gave life to those who were dead! The Injil gives several specific recordings of this. One of them is in Mark 5, when Isa brought Jairus’ daughter back to life. Jairus was a synagogue ruler who came to Isa when his daughter was dying; and while they were traveling back to Jairus’ home, word came that she had died. Isa went with the man anyway; and when they arrived at the house, He told the girl to get up and she did (Injil, Mark 5:21-42)! While the miracles that Isa did were amazing, the most amazing display of life over death was when Isa Al-Masih came back to life after He sacrificed Himself! Some of the women who had followed Isa went to the tomb where he had been buried. When they arrived, they found that the stone had been rolled away, and instead of Isa, there was an angel (Injil, Mark 16:5)! The angel told them that Isa was alive (Injil, Mark 16:6-7). The women then went and told the disciples. Isa Al-Masih appeared to them as well as to many others (Injil, Mark 16:12-14). He then ascended into heaven and is still there (Injil, Mark 16:19). I want to go to heaven; you want to go to heaven. Isa Al-Masih is in heaven and knows the way to heaven. Of all the prophets, which one is best able to help us get to heaven? If you would like to know more about how you can join Isa Al-Masih there, click here. 1.) Why should Muslims read the Holy Books that came before the Quran? 2.) The Quran and the Injil agree on several points about Isa. Why is this important? 3.) Why should we believe in Isa Al-Masih? Please let me know about that good news concerning Isa Al-Masih. “Gospel” simply means “good news.” It’s the message of Jesus/ Isa Al-Masih. The Arabic word for “Gospel” is “Injil.” The Injil is the Good News about how a person can be set free from sin and has the assurance of going to heaven. It’s not God who neglected to protect His word. The very people who were supposed to be its custodians forsook it, hence God punished them by hardening their hearts and they corrupted their own scripture. After the corruption of the older revelations, the Quran comes with a twofold purpose: (1) to confirm the true and original Message, and (2) to guard it, or act as a check to its interpretation. The Quran safeguards “the Book”, for it has preserved within it the teachings of all the former Books. It watches over these Books because it will not let their true teachings to be lost. It supports these Books because it supports the Word of Allah which has remained intact in them. It stands as a witness because it bears testimony to the Word of Allah contained in these Books and helps to sort it out from the interpretations of the people which were mixed with it; what is confirmed by the Quran is the Word of Allah and what is against it is that of the people. It’s not God who hardens the hearts of men, but sin. Yet, the Word of God remains the same yesterday, today and tomorrow. There is no need to have the Safeguards. The Word of God is alive and can protect the words by Himself (Isa Al-Masih). “In the beginning was the Word, and the Word was with God, and the Word was God. He was with God in the beginning. Through him all things were made; without him nothing was made that has been made” (Injil, John 1:1-3). No where does the Holy Quran states that the actual text of the earlier books had been changed. To say so is blasphemy and will be punished severely in hell. To distort, pervert, change words from context is not textual change but wrong (spoken) interpretation. For 400 years in Islamic history, no Islamic Scholar dared to say (please proof otherwise) that any portion of the Bible had been changed. 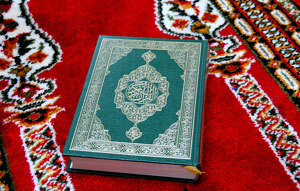 The Quran is the holy book of the Ummah as a way of life of all mankind. As well as about the prophet and apostles. Jesus is among them. In the Qur’an, it’s taught that the prophets before Muhammad had their missions limited to certain communities and specific groups, for example the Jewish or Christian. And Muhammad serves to enhance the teachings of the prophets before. There had been many irregularities. Especially that their teachings are not universal. In Islam there is no compulsion. My religion is my religion. Your religion is your religion. We thank you for your comment. You are right that “My religion is my religion. Yours are yours.” Yes, we have right to choose and no other person can force us to believe on certain believing. We, isaandislam also doesn’t want to force anyone to believe Christianity. Yet, we intend to reveal Isa Al-Masih as taught in the Injil. This was clearly written in “About us” section (under Site Goals). You are right, that the prophets and apostles were assigned for certain communities, groups, etc. Like Isa was sent to Israel. Yet, God’s word remains the same for all communities. It’s about living a holy life. God hate mischievous deeds. Many times and many ways, He commanded to repent and to live a holy life through His messengers. Yet, our question now is whether Muhammad taught the same thing? And He didn’t contradict the previous revelations? Isa Himself (Peace be upon Him), stated many times, that He was sent for the Jews alone. See Mathew 15:21, the Canaanite woman in John 4:22: “Salvation is of the Jews”. The biggest difference between Muslims and Christians, is that Muslims don’t see Jesus (PbuH) as God, but just like a Prophet. Hereby I invite the Christians to get to know more about Islam and our Holy Prophet Mohamed (PbuH). See that Jesus (PbuH) is a Messenger of Allah, but not His Son or a God. Thanks for giving your comment. I agree with Qs 112:1-4. Yet Muslims often misunderstood of the Christian’s concept of God of Trinity. There really is no human being who can understand God completely. If we could understand God completely, we would be equal to God. The Bible clearly teaches that God is one but He exists in three Persons. From all eternity, God has been God the Father, God the Son, and God the Holy Spirit. Yet He is One (a unity), not three. Get more explanation through this link: https://www.isaandislam.com/christian-beliefs/why-do-christians-believe-that-there-are-three-gods.html. Also, it’s true that Isa was sent to the Jews only. 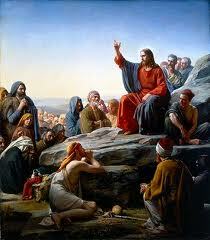 Yet, He told His disciples to bring forward what they were taught to all nations (Injil, Matthew 28:19). The message remains the same: Salvation. “Salvation is of the Jews,” means that the salvation is from the Jews (Isa Al-Masih). Thank you for you comment. But I have to disagree with you. There is no misunderstanding of Muslims in the Trinity of God. As Arfi Syahrin already mentioned in this forum: “My religion is my religion. Your religion is your religion”. For a Muslim it is clear, there is just one God, Allah. It already starts with the Creed: There is no God then Allah and Mohamed is His last messenger, the same kind of messenger as Jesus, Moses, Abraham and all the Prophets before Him. Everyone has his own decision on things. Yet, the Bible taught there is no way to come to Allah except through Isa Al-Masih. “… I [Isa] am the way, the truth, and the life. No one can come to the Father [Allah] except through me [Isa]” (Injil, John 14:6). It’s true that Isa came for the Israelite. Yet, from them, the good news of salvation is preached to all over the world. Does the Quran support or testify Jesus’ death and resurrection? Thanks for your comment. It’s one of the things that the Quran disagrees with. Yet, there is much evidence to prove that Isa did in fact die on a cross. Learn more about Isa’s death and resurrection through this link: https://www.isaandislam.com/Isa-Al-Masih/did-isa-al-masih-really-die-and-rise-from-death.html. Please let me know about that good news concerning Jesus. Yes, the Quran says that Isa Al-Masih is God’s Word. He’s Kalimat Allah that was born through the virgin Mary. Thanks for your comment. Muslims believed in the Injil, Isa Al-Masih, the son of Mary, not the Injil of Mathew, Mark, Luke, etc. Because the Injil of Mathew was not written by Mathew. Further more, at the time of Moses, Noah, David, and the other prophets accepted Isa who was the light and the way to god? Moreover, if God is one but exists in three persons, it means that all of the three must have the same knowledge but it wasn’t. So in the Injil Mark 13:32, Jesus is only a messengers of God (Injil, Acts 2:21-22). There are not four Gospels. “Gospel” means the good news about salvation through Isa Al-Masih! There are four books in the New Testament teaching about the “Good News”. They are referred to as “The Gospel According to Matthew,” and so on. These books are about the life of Isa Al-Masih from the perspective of four different writers. The four Gospels give us four witnesses to the life of Isa Al-Masih. Why four witnesses? Throughout the Bible, God stressed that a truth must be confirmed by two or three witnesses (Taurat, Deuteronomy 19:15). Get more explanation through this link: https://www.isaandislam.com/the-bible/why-are-there-four-gospels.html. Isa Al-Masih is God’s Word. As God’s Word, He exists in eternity, even before Adam, Moses, Noah, David, and other prophets were born. Isa claimed His eternity to the Jews, ‘”Very truly I tell you,” Jesus answered, “before Abraham was born, I am!”’ (Injil, John 8:58). If those prophets were born in Isa’s time, they would acknowledge that He is God’s Word. Because they were God’s prophet. You have rightly quoted that “He will be one of the righteous.” So there were 124000 approximately righteous men or prophets e.g. Ibrahim, Ishmael, Ishak, Moses, Isa, and finally Muhammad. Please ignore teaching without comprehensive study. Thanks for your comment. We’d like to point that Isa is righteous. No one is righteous, except God. Isa Al-Masih is God’s Word. He’s God (Injil, John 1:1). I would like to know about Isa Al-Masih. We are glad to know that you are willing to know about Isa Al-Masih. We’d like to invite you to learn about Isa Al-Masih through this section: https://www.isaandislam.com/Isa-Al-Masih/. ~ I just like the valuable info you supply on your articles. Muslims are told not to read the previous Scriptures as God has promised to only protect the Holy Quran because the Quran overtakes the previous Scriptures. Why are the dead sea scrolls not being translated? This proves a cover up. Man has admitted and concealed certain texts. For example, certain books of the Gospel in the Vatican are not accessible to Christians today because doing so will perhaps unveil the truth. As clearly written in the Quran 4:136, Muslims are commanded to read the previous Holy Books including the Books of the Prophets, the Torah, the Zabur and the Injil to know the Truth from God. The Scriptures in the Bible are complete, so there are no more texts need to be added and hidden. The discovery of the dead sea scrolls written in Hebrew and Aramic in Judean caves in 1947 further proves that the Bible is absolutely accurate and reliable. The writing of the Books of the Prophets, the Torah and the Zabur were found in these scrolls. These confirm that the Bible is the Word of God and can’t be changed by any man (Qs 6:115). I am doing research on the Fellahin and the Egyptian villages in the 1930s specifically the Kuttabs who taught the Quran to children. I think some passages in the Quran says about Isa performing miracles (feeding the masses, and so on) as a prophet of Islam. Thank you for your attention. Quran 3:49 writes some of the miracles performed by Isa Al-Masih. But the Quran was written over 600 years after the life of Isa Al-Masih. Therefore to learn more about these miracles, one needs to read the Bible particularly the books of Matthew, Mark, Luke and John who witnessed the miracles performed by Isa. The feeding of a great multitude by Isa can be found in Matthew 14:13-21.
if you would like to discuss it further. Please explain more about this. Please let us know what explanation you need. You are not a Muslim. This website is created by a Jew or a Christian. It is clearly written in the Quran that Isa Al-Masih is the only Messiah with the highest honor (Qs 3:45), the righteous one (Qs 3:46), born of a virgin (Qs 3:47), the source of wisdom and truth (Qs 3:48), performs miracles (Qs 3:49) and the Sign & Messenger of God (Qs 3:49-50). Therefore, Muslims are commanded to read the Holy Books that came before the Quran as written in Qs 4:136. Quran says if you have any doubt, read the previous book which is the Bible. Is it worth to read both the Bible and the Quran? Definitely! Quran 10:94 commands its followers to read the previous Scripture which is the Bible when they are in doubt. The Bible is the Word of God that has never changed. It’s reliability has been proven by living eyewitnesses, world historians, archeological facts and over 5,000 manuscripts. Allah’s Holy Prophets Foretold the Coming of Isa Al-Masih! Did Isa Al-Masih Dishonor His Mother? All Muslims- Isa Is The Sign And Mercy From Allah For You!